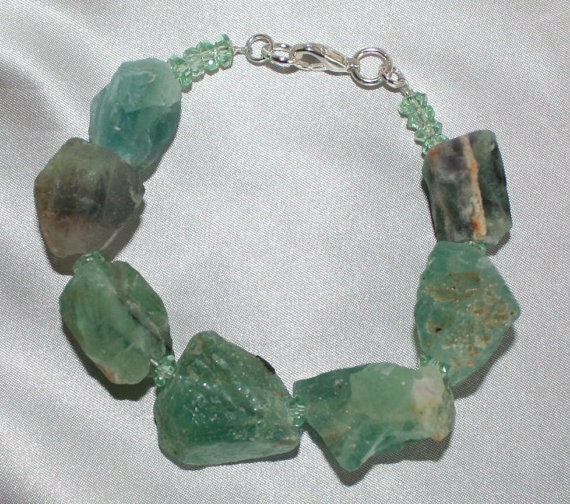 Raw chunky fluorite statement bracelet made with natural rough cut hammered nuggets in graduated sizes. 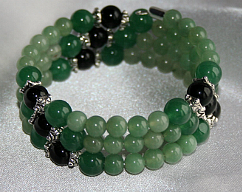 The big bold nuggets are separated by 5mm faceted crystal quartz green rondelle beads giving it added sparkle. 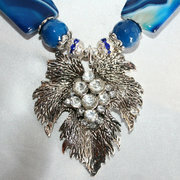 The length is about 8 1/2 inches and it is finished with a silver plated lobster clasp. 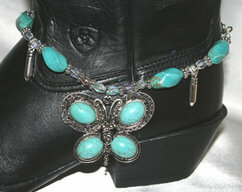 With the larger beads this fits more like 7 1/2 - 8 inches. Fluorite was first described in 1530 - fluorite has a wide range of colors including yellow, blue, pink purple and green. It is an interesting and beautiful stone because often more than one color occurs in a single stone. 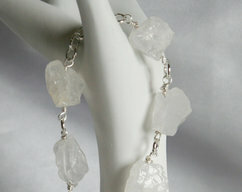 Fluorite is said to absorb and neutralize negative vibrations. 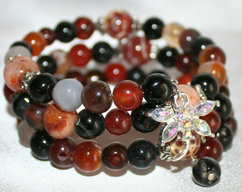 It makes one more receptive to the vibrations of other stones. Fluorite is very common and deposits are found worldwide in almost all countries. Specifically famous producers include Canada, China, England, France, India, Mexico, Morocco, Namibia, Russia, South Africa Spain, Switzerland and the United States (especially Colorado, Ohio, Illinois, Kentucky, Tennessee, New Hampshire, and New Mexico). The banded variety Blue John comes from Derbyshire, England.